Overview - In 1776 South Carolina, widower and legendary war hero Benjamin Martin (Mel Gibson) finds himself thrust into the midst of the American Revolutionary War as he helplessly watches his family torn apart by the savage forces of the British Redcoats. Unable to remain silent, he recruits a band of reluctant volunteers, including his idealistic patriot son, Gabriel (Heath Ledger), to take up arms against the British. Fighting to protect his family's freedom and his country's independence, Martin discovers the pain of betrayal, the redemption of revenge and the passion of love. Set in 1776, Mel Gibson plays a veteran of the French and Indian war named Benjamin Martin, a character loosely based on a real military hero. Now living in America, Martin wishes to live in peace with his seven children, but his oldest son, Gabriel (Heath Ledger), joins the Revolutionary war effort against England over his father's objections. A vicious British soldier named Colonel Tavington (Jason Isaacs) captures Gabriel, deliberately killing one of Martin's younger sons in the process. With the help of his surviving sons, Martin pursues the prisoner battalion, frees Gabriel, and joins the American forces in an attempt to avenge the death of his younger son and find a way to take revenge on Colonel Tavington. It's tough not to immediately notice the parallels between 'Braveheart' and 'The Patriot' -- same star, same setup, and the same examination of the ways a man's desire for vengeance ends up inspiring a military force to overcome uncertain odds. Thankfully, Emmerich and Gibson seem to be keenly aware of the similarities between the films and work hard to separate the two. Martin is more wavering in his determination, comes from an entirely dissimilar background, and functions by different means than William Wallace in 'Braveheart.' While many critics have seemed unable to get past this initial pitfall, I found it to be only a mild distraction that passes rather quickly once 'The Patriot' begins to gain momentum. Unfortunately, it's the script and the direction that I found a bit lacking. Aside from Martin and Tavington, the supporting characters are paper-thin and never quite feel three dimensional. Line delivery is laughable at times and many characters come across as mere caricatures of historical men. Gibson and Isaacs, on the other hand, do a wonderful job and 'The Patriot' is an entirely different film when either of them are on screen. Their performances are magnetic and seem to elevate every other actor on set. The action beats are top notch as well (Martin's rescue of Gabriel is an amazing scene), but the film drags anytime the camera leaves the battlefield or the Martin homestead. Melodrama tends to be Emmerich's go-to crutch and it instantly drains the plot of its weight and resonance. The set pieces are also sometimes a bit too clean cut to be convincing or authentic -- many feel obviously staged and the lighting style tends to romanticize the locations. To top it all off, the film initially highlights Martin's unusual guerilla tactics, but leaves those smarter strategies behind during the final conflict, where everyone seems to randomly decide that lining up and shooting each other is once again the intelligent thing to do. It's almost as if the filmmakers wrote themselves into a corner before they realized they needed a climactic and visually stunning ending. As a result, the final battle is simmering, but it's a complete about-face for Martin's character and the story developments up until that point. It's also worth nothing that the film doesn't appear to be concerned with historical accuracy in the least. This is an action-drama through and through and history buffs will no doubt notice a startling number of mistakes, trims, and changes made to simplify the film as much as possible. 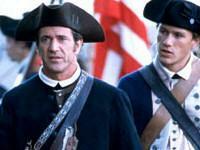 In the end, 'The Patriot' is a pretty good flick that works particuarly well when its hero and villain are on the screen. Unfortunately, however, weaknesses in the script and a penchant for random Hallmark sensibilities prevent this one from living up to its full potential. 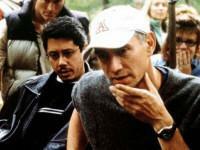 The extended cut included in the Blu-ray edition adds ten minutes that definitely help strengthen the film (especially the scenes with Isaacs), but I think both versions of 'The Patriot' could've been tighter and more consistent if Emmerich had chosen to remove a handful of the film's more melodramatic scenes. 'The Patriot: Extended Cut' makes its Blu-ray debut conveniently timed to coincide with the Fourth of July holiday, and while the film already looked good on its various incarnations on DVD, this 1080p transfer takes the picture to the next level. 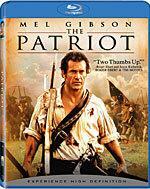 Utilizing the AVC MPEG-4 codec, 'The Patriot' looks as vibrant as I remember seeing it in theaters. There's a nice depth to the image and the vivid palette takes full advantage of this high definition presentation -- the reds and blues of uniforms in particular pop against the earthy hues of the landscape. Black levels are deep and uncrushed and shadow delineation is revealing. The most vital upgrade is in this transfer's rendering of fine object detail. I could see the individual stalks of grain in fields and the stitching on each individual piece of clothing. Skin textures, sweat, hair, and stubble all look natural as well. The backgrounds showcase every nick and scratch on the set, and at times I found myself mesmerized by the intricacies of more complicated shots. Finding problems with this transfer isn't easy. There's some noise in shots of the evening sky (look above Cornwallis's mansion before the dinner party scene), some print flecks throughout the film, some strange boosts in contrast (watch when Martin returns home after rescuing Gabriel), and a bit of elevated grain in occasional shots, but the only thing that comes close to being an actual issue is that colors appear to be slightly oversaturated every once in a while -- the effect ends up flushing some of the actors' faces (this happens most frequently in the final battle). However, despite these minor setbacks, the overall picture quality is extremely impressive and any fan of the film or home theater enthusiast will be excited to see how good it all looks. 'The Patriot: Extended Cut' features two superb audio tracks -- a well rounded Dolby Digital 5.1 surround track (640 kbps), and a richer Uncompressed PCM 5.1 mix (48 kHz / 4.6 Mbps). The standard audio sounds pretty good, but the uncompressed mix is the mix of choice and will leave a definite impression on your home theater. An endless bombardment of explosions, musket fire, and sword clangs emphasize the track's robust dynamics -- treble tones are crisp and bass booms are resonant. The sound ranges make the film's musical score instantly striking, filling the soundfield with charisma. Dialogue is clear and expertly prioritized -- it never gets lost in the chaos and I didn't notice any instances where it sounded at all artificial. Channel movement sends debris and bullets whizzing across the battlefield, but also tones things down to create convincing subtle effects like wind blowing through the trees. Accuracy is dead on and the surround effects use every speaker to their potential. The only mild criticism I can even think to mention is that I would've enjoyed hearing a movie like 'The Patriot' in 6.1 or 7.1 surround. 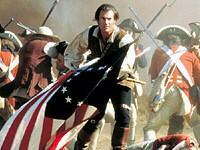 Still, everything about the uncompressed mix on 'The Patriot: Extended Cut' screams top tier sound design. While the both the audio and video on this release are quite exceptional, it's in the supplements department where this one disappoints, including only two featurettes from the first DVD release of 'The Patriot.' 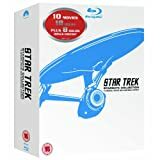 Missing from this edition are a slew of supplements from the film's other DVD editions, including a commentary track with Emmerich and producer Dean Devlin, a visual effects interactive featurette, conceptual art comparisons, and photo galleries. It's frustrating to see three foreign language tracks and more than two dozen subtitle options taking up valuable disc space that might have been used to give consumers more bang for their buck. We're left with "True Patriots" (10 minutes) and "The Art of War" (9 minutes), two featurettes that take an all-too-brief look at the behind-the-scenes work that went into 'The Patriot.' Both of the featurettes are talking head pieces intercut with on-set footage, but neither takes a close look at the historical context of the film, the immense scale of the battles, or the treatment of the story and the characters. Both featurettes are are presented here in 480i/p only. The only other supplement is a trailer for 'Legends of the Fall.' At first I was excited to see how the film would look on Blu-ray, but unfortunately this is just a standard definition trailer, and not a preview of the film's eventual release in high-def. 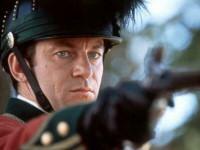 'The Patriot' is a good movie that boasts exceptional performances from Mel Gibson and Jason Isaacs, but every time I want to love the film, it throws in a bout of melodrama or a cringe-worthy exchange between supporting actors that keep me from completely immersing myself in the story. Fans will be ecstatic to see how great the film looks and sounds -- the video transfer is almost perfect and the uncompressed sound track is spectacular. Unfortunately, fans who own the Special Edition DVD of 'The Patriot' will have to hold onto it a little longer, as this Blu-ray release is a desert of supplemental material.